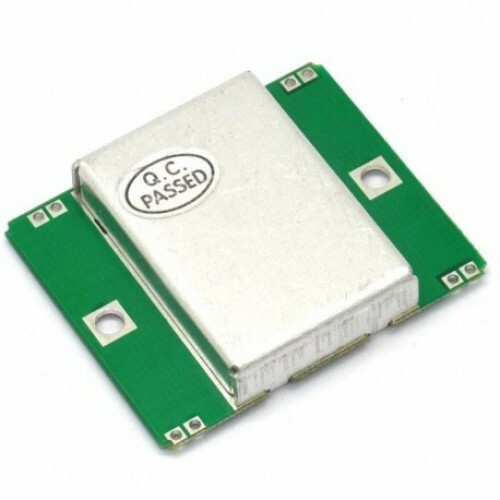 HB100 Miniature Microwave Motion Sensor is a X-Band Bi-Static Doppler transceiver module. Its built-in Dielectric Resonator Oscillator (DRO) and a pair of Microstrip patch antenna array, make it ideal for OEM usage in motion detection equipment. This module is ideally suitable for false alarms reduction in intrude r detectors when work together with Passive Infrared (PIR) sensor. It can also be used for auto-door opening and vehicle speed measurement.